Lately I have had an obsession with frozen chocolate covered bananas. Specifically these Diana's Bananas I decided to try to make my own frozen chocolate treat. These are so yummy and easy to make. Place the wax paper on a cookie sheet. Use a potato masher to mush up the bananas. Make small balls and place on the cookie sheet. Place in the freezer until hardened. Melt the chocolate according to the directions. 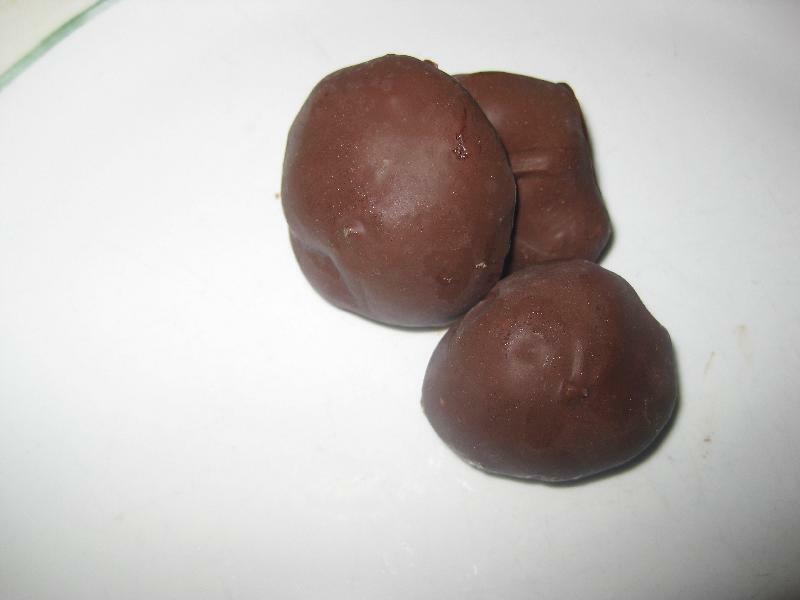 Dip the frozen balls into the chocolate and then place them back on the cookie sheet. After all of the balls have been dipped return the cookie sheet to the freezer. Once all of the chocolate has hardened you can place them in a container and store in the freezer.